When people think of bachelor and bachelorette parties, the thoughts usually go to some adult themed parties, to put it mildly. While some people love that idea, others tend to be more conservative and classic. 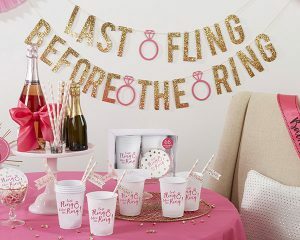 Instead of having to conform, here are some other ideas you can use to plan the perfect bachelorette party for you and your best girlfriends! Paint and Sip events have become extremely popular for those young and old. If you are an artistic person (whether you have talent or just for fun) this might be the activity for you! Usually there are lots of locations you can look into for your session. Look into community centers, art studios, or craft rooms to see if this is something they offer. If there aren’t any community art centers that offer this in your area, or if they’re all booked full for the date you need, looking into a private artist to come to your house is also an option. You might have to supply your own supplies such as paint and canvas, but those are generally inexpensive, especially if you can buy the canvas in bulk. Don’t forget the wine! Do you love a good musical or play on the live stage? Lots of community theaters offer dinner and a show for discounted prices. Get dressed up with your gal pals and head out on the town! There’s usually an option to just see the show too, in case you wanted to opt for a fancier dinner beforehand. If you just got engaged and haven’t figured out what you want to do yet (or if you’re a bridesmaid planning ahead) you can normally look up what show will be on the big stage during the time of year you are planning for. BONUS- There is usually a group rate if you have a large group going with! Ah, how relaxing. A spa night might be the perfect thing to take the stress away from all of the wedding planning. Many salons might offer a group sessions for massages or manicures and pedicures. Load up the car and head over to the salon to keep things easy and mess free. Transform your living room into an oasis! There are plenty of DIY tutorials to make your own foot scrubs and face masks that use mostly common household items. It may get a little messy, but that can be part of the bonding for you and your girls! If sports and recreation are more your speed, or if you just want to step outside of your comfort zone, then camping might be a great option. Most campgrounds offer or are close to lots of activities like tubing or kayaking, obstacle courses, shooting ranges, hiking trails, and more. If you do your research, you might be able to find activities that offer group rates. Camping is a great option if you’re thinking about having a combined couple’s weekend with your sweetheart. There’s nothing in the rules saying you can’t share your bachelorette party with your fiance. More people means more fun! Cooking classes are great a great option for food lovers. This might be a harder time to find a location with multiple kitchen stations, but if you’re determined enough (and love food enough!) anything is possible. If you can’t find a location to offer this, try to find someone with a big enough kitchen to suit all of your girlfriends. It should be pretty easy to find an instructor who is a trained chef if you ask around your community. Most states have multiple wineries that frequently offer wine tours and tastings. If you and your girls love a little merlot or chardonnay and want to be amateur connoisseur for the day, head to the vineyard and drink your heart out! Certain vineyards and wineries, such as Duplin Winery in Rose Hill, North Carolina, also have an attached bistro that could make the visit a full day affair. Find a designated driver, load up the car with your favorite people, and get your drink on! Whatever you choose to do for your bachelorette party, make sure it’s memorable! You don’t have to spend a lot of money (but you can if you want to!) What’s important is that your with your best friends for one last hoorah before tying the knot.